Don't know what the real name of the spur is, but when was the spur that crosses Chicago Drive and Beverly St. constructed? I was chasing the Yard Job today hoping to catch it at the crossing but I finally lost my patience and went home. Upon sitting at the crossing on Chicago I noticed some of the rail looked to be older and the fact it's a spur it gets minimal up keep. The tracks are built almost on top of a building on the South side of Chicago. Jointed rail looking well aged and older signals at Chicago with the addition of gates a few years back. Crossings are in bad shape, especially at Beverly St. Was the spur specifically constructed for the old Delphi plant or did that come later? I see at least two customers with tracks going into their facilities by Beverly but the tracks are in a good enough location that more industries could be added for rail service if requested. I am assuming the spur lost a lot of traffic when the Delphi plant shut down and the tracks over Burlingame were torn out. Y195 switches Victor Barnes and Michigan Terminals on this line pretty much every weekday. Acme lead is the true name. It is under the jurisdiction of Wyoming East Tower. Michigan Terminals is just a third-party contract group who unloads plastic pellets for Precision Industrial Packaging inside the old plant proper. The buildings between Beverly, Porter, Burlingame and the tracks were owned by Reynolds metals. The plant was built during WW2 to make aluminum extrusions and parts for aircraft. Paul Land bought the closed plant and rents space in the complex. Pretty sure the Diesel Equipment plant on the east side of Burlingame was built later. Appears to have been built in 1960 going by the Sidwell maps on-line. I believe the track crossed Burlingame but I don't think it ever did much rail . MQT1223 wrote: The tracks are built almost on top of a building on the South side of Chicago. And you should have waited a little longer. While I was outside doing some yard work in Wyoming between 2-3pm, I could hear them blowing at Beverly. I am refering to how close the tracks are built by a white office building for that plant of some sort built along side the Southeast side of the Chicago Drive crossing. This was at noon when I gave up. I didn't have the time, I had school work to do and only check the yard with the hope of catching anything. I had no idea I would catch the Yard Job. MQT1223 wrote: I am refering to how close the tracks are built by a white office building for that plant of some sort built along side the Southeast side of the Chicago Drive crossing. Ahh. I hadn't noticed that it was unusually close. the building on the south side of Chicago dr. east side of the spur was the Michigan carprovia bit paving plant. built along the east side of the tracks, with Reynold alum. plant on the south side of the tracks between Beverly and Burlingame. in fact Reynolds added tracks on the east side of the bld for delivery and pickup, ingots in and product out via rail and truck. the middle of the gm plant on the east side of Burlingame and ended at the east fence line of the property. fed /city combined funding. in the early 70's there were some 80/20, but witin a few years iirc it was all 70/30 funding ). now for abit more info that rrd will know what I'm talking about and they are in the archives in this day an age. follows the straight and curved row of the old c&o rr. Last edited by donnieland on Tue Dec 02, 2014 11:08 pm, edited 1 time in total. Federal Aid funding is back to 80/20. The original Diesel Equipment plant shows up on the 1954 aerial photos. Not sure why it looks the way it does on the 1960 Sidwells on line. It had one track inside and one outside. The Reynolds plant had only the west building in 1954 and only 1 track along the west side of the building. Raildudes dad wrote: Federal Aid funding is back to 80/20. donnieland wrote: the building on the south side of Chicago dr. east side of the spur was the Michigan carprovia bit paving plant. So the current spur used to be a lot longer then how it is now? MQT1223 wrote: So the current spur used to be a lot longer then how it is now? It crossed Burlingame and went into the building on the east side of the street. Drive by there and you'll see evidence of that. I know this I just though the comment that was made before yours suggested it went beyond the old Delphi plant. Any pics around when the tracks were still intact at Burlingame? The way I understand his description is that tracks never actually existed east of the plant. Lots of great photos, thanks for sharing! Its cool to see a mid-length industrial spur so active these days. Its even rarer to see one thats not the stub of a former main line. FWIW, The GM plant was a war-built facility, beginning manufacturing in 1941/42. GM planned regular visits by a company photographer to record the construction and these photo albums were still in the facility as of 1990. Photos and employee memories record a steam locomotive placed beside the location where the plant's boilers were being installed to act as a stationary boiler and provide steam for building heat and manufacturing processes. In other words, the need was so great that manufacturing was started long before the building was complete. The tracks were used for a variety of purposes, but normally not related directly to manufacturing; i.e., shipping a finished product. 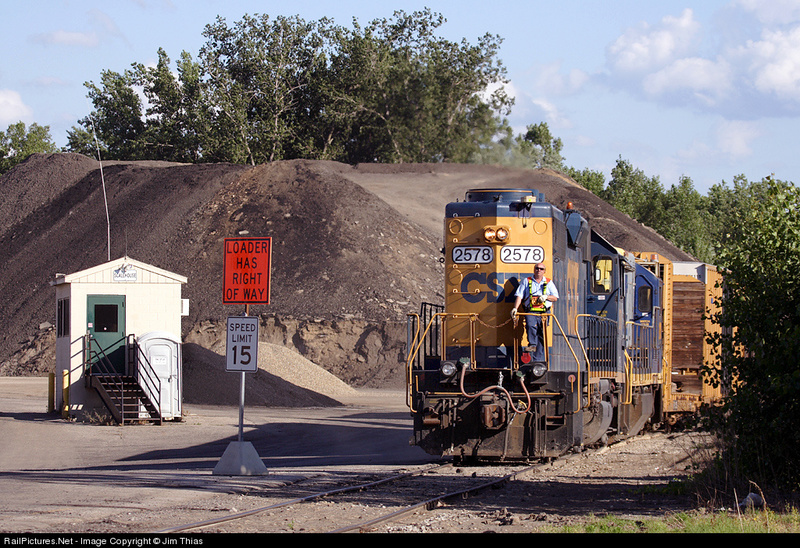 Salt was brought in by rail cars for the boiler water softeners, as well as Bunker 'C' oil for the boiler fuel. (Note: The boilers were dual-fuel - natural gas and Bunker 'C' oil.) The single track through the plant allowed tank cars to supply the tank farm on the east side of the plant. This tank farm supplied lubricating, cutting and machining oils to the manufacturing processes. The scrap metal processing facility was also on the east side of the main plant building and metal machining chips were removed by gondola. The in-plant track was four feet below floor level and was crossed by two elevated bridges, which had to be lowered to allow the rail traffic to pass, powered by a Trackmobile. A constant curse was that one of the elevators were hit at least once a year when the Trackmobile was unable to stop quickly enough and struck the elevator and it had to be disassembled and its jack screws replaced. In the late-70's, the east side single track was extended and converted to a double track, then a triple track. The tracks stopped approx. 10 ft. from the property line at Pinery Park. 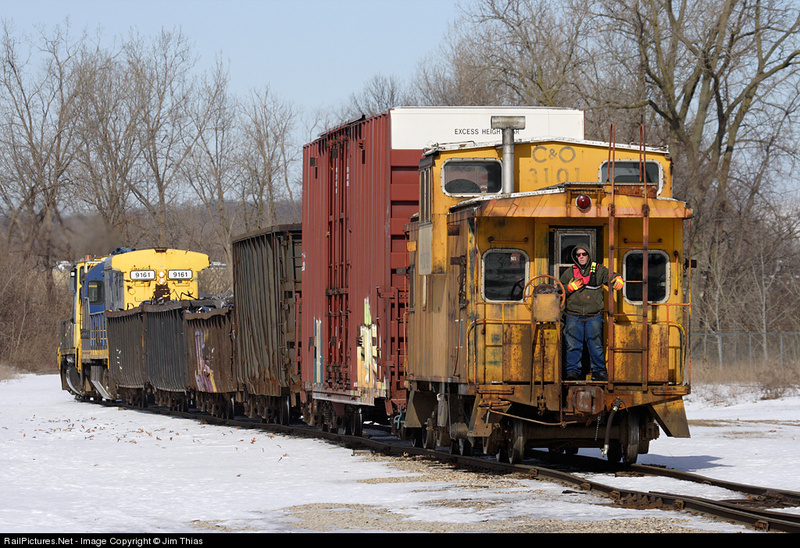 Six box cars were purchased from the C&O (Plymouth Yard) at scrap prices. These cars were used for tooling and small parts storage and were transferred in and out of the plant by Trackmobile. Well, Diesel Equipment prided itself on being the smallest GMC Division. Then in the 1980s, built a second plant in Coopersville, MI to produce, first the Oldmobile Diesel fuel injection pump, then gasoline fuel injectors. 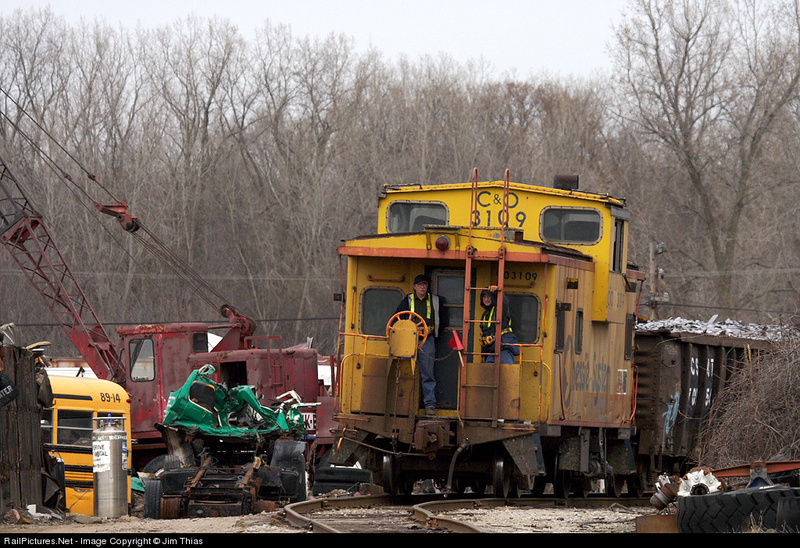 Then came the cutbacks and Diesel Equipment was merged with Rochester Products. Then Rochester Products was merged with AC Spark Plug at the same time that Penske Diesel purchased part of the manufacturing facility and operated it as a separate company, within the same building. The Coopersville plant was closed and the equipment brought back into the Wyoming facility. Then the umbrella of Delphi Corp. took over most of the GMC component plants and employees had to decide which company to retire from, etc., etc. At that time, I left GM and went to work for Teledyne/General Dynamics in Muskegon, MI. It's sad to think was the facility was, and what it is now. Oh well, life goes on . . . .
Last edited by cdressel on Thu Feb 02, 2017 11:42 pm, edited 1 time in total. I heard from my father that at one time tracks had been intended to go east from the GM facility as there where muck fields to the east that were going to ship veggies by train. WWII came along and all that property was sold and houses built for the workers for the GM plant and the Reynolds plant. Dad was a kid back in the war so how much of what he remembered was totally accurate is questionalbe. cdressel wrote: FWIW, The GM plant was a war-built facility, beginning manufacturing in 1941/42. What did the plant make during the War? Harrison Radiator here made shell casings, in addition to heat exchangers of every description. When I started in 1986, there were still a few folks that had started during the War.